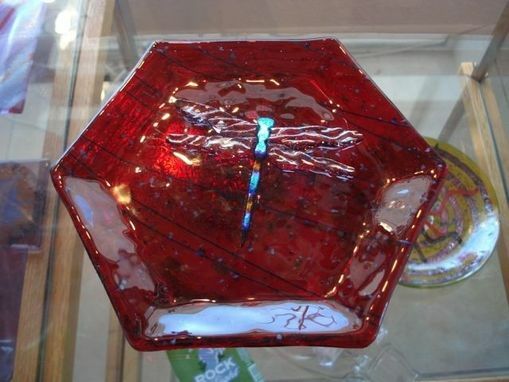 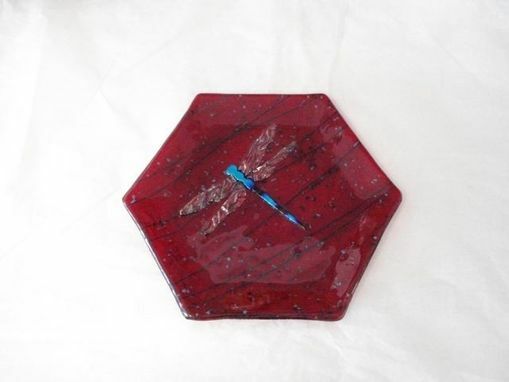 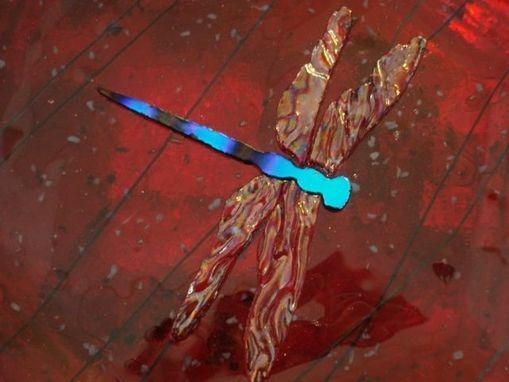 This translucent fused-glass plate gets its vibrant color from the dichroic red glass laden, and is laden with blue striations to provide a dramatic backdrop to the dragonfly pattern nestled within. 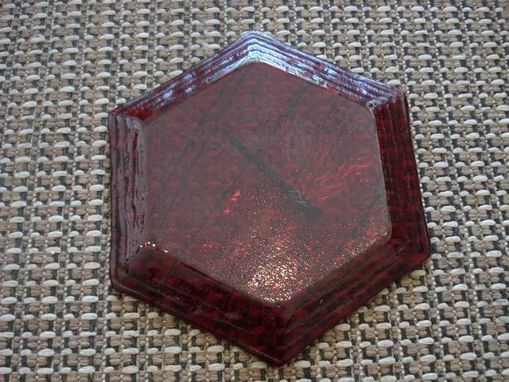 This piece of glassware was fired twice to fuse the inlaid dragonfly to the red base, and again to give the dish its slump. 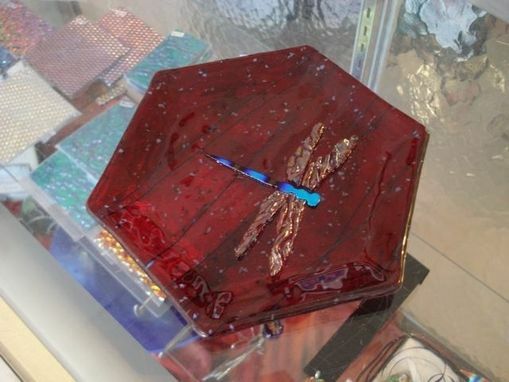 The glass plate measures 8'', approximately.